The most adored festival of the year, Diwali is here, and the festival of lights has created a positive aura around us. It’s a festival of togetherness, gleam, and definitely a festival of traditions! Treat your family to a Nawabi experience this Diwali as Ummrao brings to you the most delectable traditional dishes of all times. 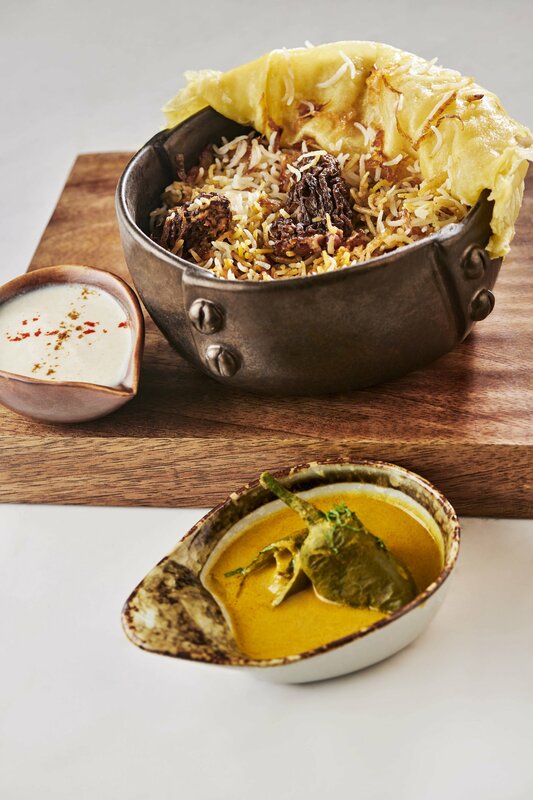 Featuring a vibrant and eclectic menu that draws inspiration from the royal kitchens of the country, Ummrao offers some of the finest dishes, including starters like Paneer Trilogyand Bhavnagari Mirch Murg Tikka, delectable curries like the Purane Chowk Ki Nalli Nihari and Five Saag Melange, Biryani like Bagare Gucchi Biryani with Kashmiri wild morels and Kareli Dudhia Biryani. Delectable desserts like Purdakh Khubhani Tart and Keseri Pista Phirni signal the perfect end to a culinary ‘Jashn’ (celebration). That’s not all, the cocktails at Ummrao are an ode to the famous bartenders across the globe. Cocktails that you know but with an Ummrao twist. To name a few, “Bill Boothby” which features 100% Natural Jaintia hills Meghalaya sourced Lakadong Turmeric, home-made kaffir leaf syrup and gin. Ummrao also serves an extensive array of wines ranging from ‘F.X. Pichler Riesling Loibner Steinertal Smaragd 2012’to Domenico Clerico CM Ginestra 2004 to add to the joy of this festive season. Get a Nawabi experience that’s Inspired by the dynasty’s love for art and architecture. The interiors create a setting of luxury which patrons of art and style are sure to appreciate. If you want a eloquent dining experience, head to Ummrao and enjoy a bright Diwali!